Win a share of €25,000 in cash! Pragmatic Play has recently completed the acquisition of Extreme Live Gaming and to celebrate the deal, they are holding a network wide cash race where the winner will walk away with a cool €5,000 in cash. Collect points for sitting down on any table for Live Roulette, Live Blackjack or Live Baccarat and race into the TOP250 by midnight on Sunday to get your share of the prize pool. Exciting race for all Live Casino enthusiasts is happening right now across all casinos who have Extreme Live Gaming in their portfolio. 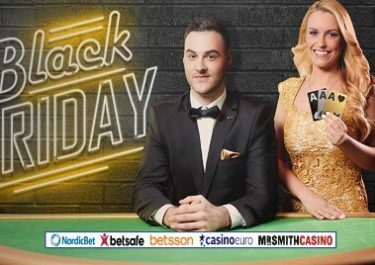 The recent acquisition by Pragmatic Play is celebrated with a €25,000 cash race on all eligible Live Roulette, Live Blackjack and Live Baccarat tables. Only bets made with cash funds qualify for the race. Terms and conditions apply. Get 20 extra points on the leader board for every Treasure mystery card dealt on any of the eligible Blackjack tables. The TOP250 scoring players by midnight on 30th September will win a share of the cash prize pool with prizes ranging from €25 – €5,000, credited with no wagering requirements by 4th September 2018 at the latest.